I reserved a flight by calling Delta recently, and this was one of the few times I stuck around to take a survey. What intrigued me from the beginning was that the integrated voice recording (IVR) told me I would be invited to take a 1-question survey after speaking with the customer service representative (CSR). Maybe because I have an interest in customer success, customer experience, IVR systems, etc., but the 1-question survey had me thinking. What kind of question would’ve been enough for Delta to know how my experience went? Are there enough takers where Delta could ask several one-question surveys to get a good feel of how I would’ve answered to other questions (they knew me given my SkyMiles number)? First, I want to share a little detail of what I was reserving because the complexity had me calling in. I was traveling outside of the country with a single stop each way. I wanted to use an “open ticket” from an earlier cancelled flight due to medical reasons. This meant the CSR had to authorize the ticket and ensure no change fee was incurred. My girlfriend booked separately, and I was trying to get the seat next to her and link our tickets together (in case of flight changes). It’s not the most complicated reservation, but the CSR had to have some experience to know exactly how to look up everything and make the necessary changes. She handled it all perfectly. On a scale from 1 to 5, with 5 being definitely “yes,” and 1 being definitely “no,” how likely would you be to hire the last Delta representative you talked to, if you ran a customer service company? I’ve heard of this type of question before, but I had never been asked it. As I was with the CSR, I was already thinking of how well she was handling my case, so this question wasn’t too difficult for me to answer – I said, “5” (definitely yes, I would hire her). She was courteous. She knew exactly what she was doing. Prompt. I’m good. Exactly what I needed and wanted. You have to think about the whole experience. The take-rate for surveys is typically real low. Prompting the caller that this would be a single-question survey mitigated dread on my end. Dispatching me into the survey after one ring made taking the survey that much more seamless. I was done with what I needed – the call with the CSR. Any other time would be my “donation”, and thus, would need to be seamless for me to participate. It gets to the point. We can talk about how courteous was she? We can talk about if she was knowledgeable. We can even talk about the wait times. However, Delta wants to know about the customer service rep. The question was focused about the rep. Other more detailed questions about the rep would require additional supporting questions or would be incomplete. However, those details are all proxies for what Delta wants to know – did I value their rep that I would want her on my team? Would I want to work with this person again and again and again (let alone the one time)? This question can be complicated if someone were to be especially critical. In this case, I could’ve said, “whoa, whoa, I need more information. Send me her resume.” How does she handle an even more complicated, irate customer with a language barrier? Is she a team player? What’s her compensation package? This is a much simpler question. 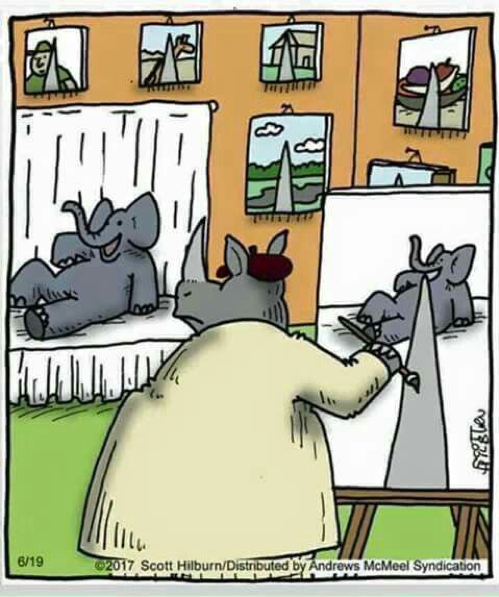 It’s focused on the caller and the rep. In that vein, who around you would you hire? Or, who would you hire again? Who would you stake your company’s reputation on? Who you stake your personal reputation on? http://www.daryllu.com/wp-content/uploads/2018/10/entrepreneurial-ninja_logo_sm.png 0 0 Daryl Lu http://www.daryllu.com/wp-content/uploads/2018/10/entrepreneurial-ninja_logo_sm.png Daryl Lu2018-03-21 21:34:002018-03-21 21:34:00Would You Hire Her? I am on a tear finishing books. 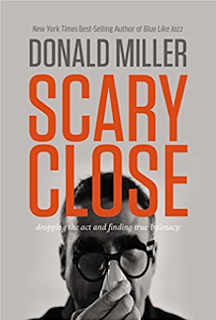 I just finished Donald Miller’s Scary Close. 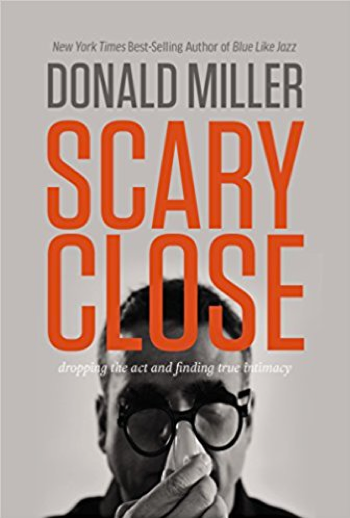 Donald highlights his personal journey to finding intimacy in relationships. In many specific examples, Donald writes about his courtship of his wife Betsy. This is much different from my other business-oriented, self-improvement, sales-y books. Not even sure why or how I stumbled on this, but hey, intimacy in relationships is good, right? This is even more true in today’s age of spam and automation. I don’t have a laundry list of take-aways. Instead, there’s one recurring and clear point – be authentic. Donald’s book focuses a lot on Betsy calling out Donald when he wasn’t being genuine. Further, Donald learned that he could never fully engage in a true, successful relationship without being himself. In years past, Donald played some role (acting) that he thought he wanted to be… impress others with who he acted out to be. Each role –and relationship—ended up unsatisfying and short-lived. He found authenticity to be the key to meaningful relationships. 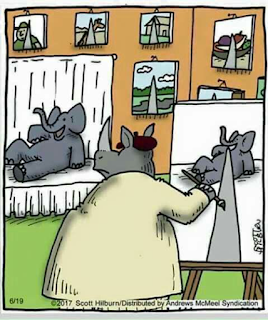 Even in his observation of parents who pushed their kids to be someone or do something they weren’t naturally, Donald realized it was the parents’ lack of self-awareness and lack of authenticity that “motivated” the parents to push their kids in a different direction. He found that the more parents looked inwards (at themselves), they could more fully appreciate who their kids were – their individual selves. Perhaps because of all the other books I’ve read or the highly personal nature of Donald’s writing, I likely won’t remember too much from this book beyond the theme. The last several years have been transformative for me in being truer to myself – to being my authentic self. However, good to hear a story of a man who realized the importance of authenticity, and how it helped him find Betsy. I don’t have to always put an entrepreneurial, self-improvement, sales-y twist on every book I read. However, it’s important to be authentic in all of our relationships. Business, after all, is made of lots of micro-relationships, let alone the macro B2B relationship.